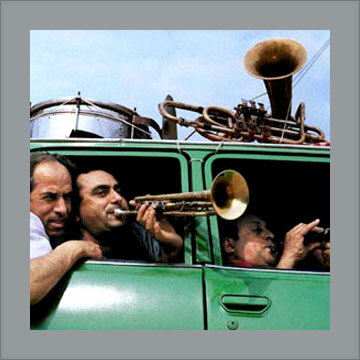 Fanfare Ciocarlia are one of the world's greatest live bands, their energy and ingenuity having won them fans from Melbourne to Memphis, Tokyo to Toulouse. 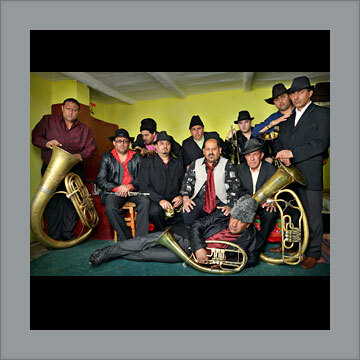 Having learnt their craft at the feet of their fathers and grandfathers Fanfare's members proudly approach every concert as a challenge to both entertain audiences and keep the true spirit of Gypsy music alive. 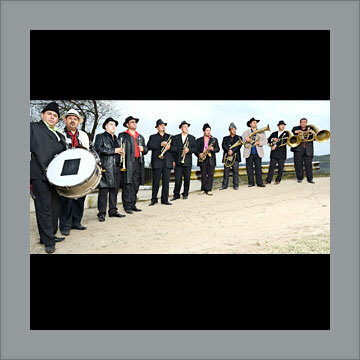 When Fanfare Ciocarlia - the brass orchestra from the "hidden" village of Zece Prajini in north-eastern Romania - take the stage the crowd receive 100% Gypsy music. Zece Prajini's isolation - situated in a misty valley, the valley's dirt roads are occupied by flocks of geese and horse and carts; here live eighty Gypsy farming families who live a traditional rural lifestyle dictated by nature's seasons - meant that under communism the village remained hidden from the outside world. Somehow the ancient Ottoman tradition of brass bands accompanying armies, weddings and funerals continued to exist here when it had long died out in the rest of Romania. 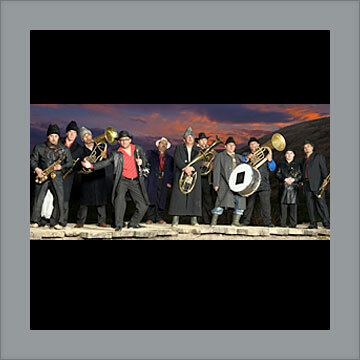 Fanfare Ciocarlia have released eight albums, several of which have topped the European World Music charts. Their DVD Brass On Fire was acclaimed by Songlines magazine as "setting a new standard for music documentaries". They have played over 1200 concerts and like to consider themselves "the hardest working band in the blow biz". Put simply: nobody does it better, harder, faster, funkier than Fanfare Ciocarlia. "No brass band plays as fast. 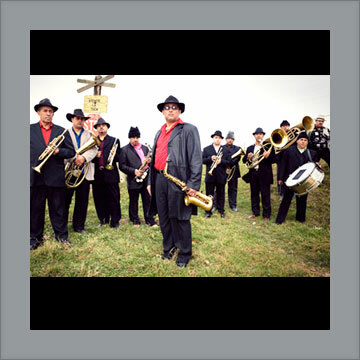 Their breakneck speed, technical chops, ripping rhythms and sweet'n sour horns are different from any other brass band on earth. ..."
"... It didn’t take long for that audience to get out of their seats. By the third song the aisles and floors were packed. ...'"
"...Fanfare always temper their sonic attack with imaginative instrumental verve and gracious wit..."